Shop Tranquility TopLiner Booster Contour Pad (120 ea. )120 ea. Shop Tranquility TopLiner Booster Super-Plus Contour Pads (96 ea. )96 ea. 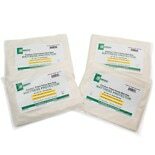 Shop Essential Medical Contour Fitted Home Bed Size Mattress Protector (1 ea. )1 ea. Essential Medical Mattress Protector Contour Fitted Home Bed Twin 39" x 75" x 9" (1 ea. )Essential Medical Mattress Protector Contour Fitted Home Bed Twin 39" x 75" x 9"
Shop Essential Medical Mattress Protector Contour Fitted Home Bed Twin 39" x 75" x 9" (1 ea. )1 ea. Shop Contour Products Cloud Memory Foam Mattress Topper Twin (1 ea. )1 ea. Shop Contour Products Cloud Memory Foam Mattress Topper Queen (1 ea. )1 ea. 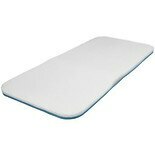 Shop Contour Products Cloud Memory Foam Mattress Topper Full (1 ea. )1 ea.